A Photofacial is photo rejuvenation, a procedure where light energy is used to lighten, fade or remove photo-damage in skin. Visible signs of photo damage include wrinkling, enlarged pores, coarse skin texture, and pigment alterations. The light laser technique creates an even, natural and smooth skin tone, resulting in a more youthful appearance. People who have blotchy, sun-damaged, or discolored skin, or whose skin is affected by large pores, freckles, or wrinkles, may benefit from an IPL photofacial. The procedure is also quick and involves no downtime, making it a convenient option for people with busy schedules. Those with dark or deeply tanned skin sometimes experience complications following IPL photofacial treatment. People with white, untanned skin that is still somewhat elastic are the best candidates for an IPL photofacial. People with tanned or naturally dark skin sometimes experience changes in skin pigmentation after IPL photofacial treatment. African-Americans and people of Greek and Italian descent, for example, may wish to discuss possible side effects with your treatment provider before opting for this procedure. Additionally, people who are taking the medication Accutane® should not have an IPL photofacial until at least six months after they stop using the drug. Pregnant women should also postpone treatment until after they give birth. During IPL photo rejuvenation treatment, high energy light waves are used to reduce or eliminate many common effects of aging, including facial wrinkles and skin discolorations. IPL light also encourages the production of collagen, a natural protein that fills in wrinkles, making the skin smooth and supple. With each treatment, the results of IPL photorejuvenation become more pronounced. Although photofacials typically target the face, neck and decollete, other effective IPL treatment areas include the back, hands, arms, and legs. Five full-face IPL photofacial sessions spaced three weeks apart are normally required for optimal results. When performed on the right person, it effectively improves skin texture, eliminating discolorations, reducing pore size, and minimizing wrinkles and fine lines. 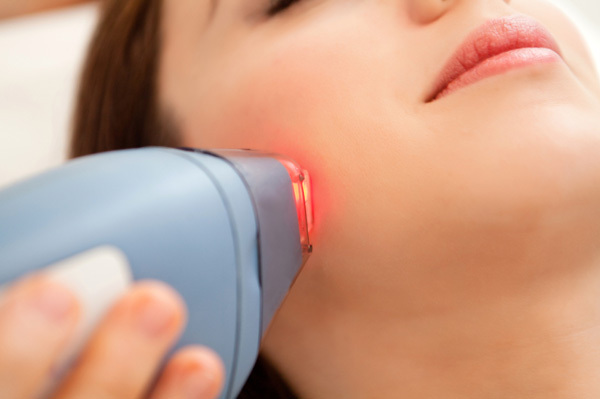 If you have rosacea, a condition that causes blotchy redness in the face, you may also benefit from an IPL photofacial.